John Charles (J.C.) McKee was born October 22, 1935 in Shattuck, OK to Charlie and Estella (Couch) McKee. He grew up in Laverne and attended Laverne High School where he played sports. He caught his chariot February 8th, 2019. He married Bonnie Carol Hauth in Raton, NM, July 18,1953, to this union was born Jayanna, Stuart, and Shelly. 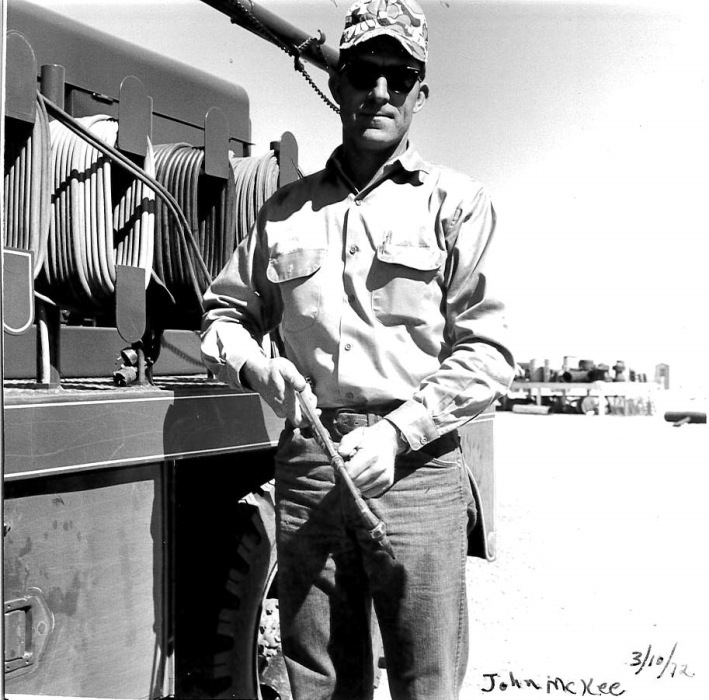 J.C. worked on the farm and in the oil field where he was a pipeline welder. But his passion was moving dirt. He retired from Durango Services at the age of 79. The light of his life was his wife of 66 years. Bonnie worked side by side with him on the farm. He found great joy in his grandkids. watching them play sports and all other activities. He was very proud of his grandson Buck for his service to our country. He loves hearing that special word Grandad!! J.C. was proceeded in death by his parents and his beloved son Stuart. He is survived by his wife Bonnie of the home, Jayanna and partner Justine and Shelly and husband Justin Jordan. Sisters Marjorie Hennigh and Carol Hoch. Grandkids Buck, Amanda, Zach, Tyrel, Jeff, Mercedes, Tanner, Alex, Anthony and our bonus brother Joe. And numerous great grands.